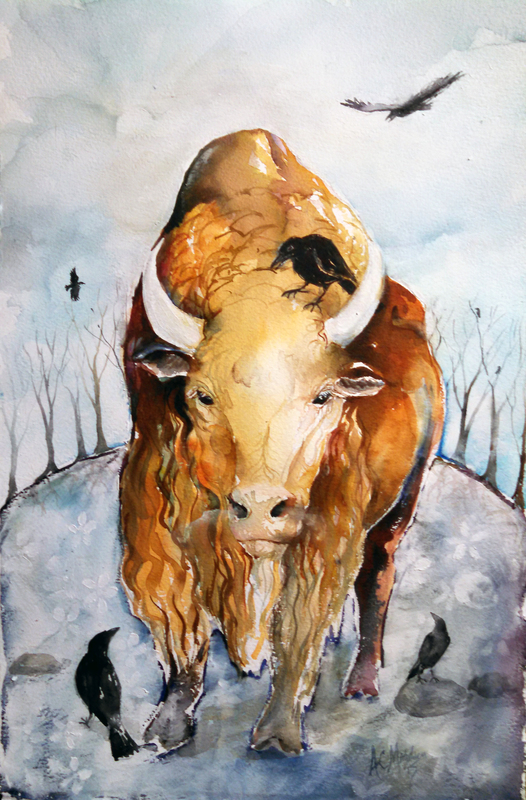 Although it is still at the moment, the Buffalo’s https://mysonginthenight.com/songwriting/ Breath is visible, jetting forcefully from its nostrils. Breath represents Life and Spirit. It evokes all 4 elements: it is made up of water and air, emanates from the physical body (earth), and contains the heat (fire) that living things generate and carry within them. The breath coming out could represent creative energy, or one’s life force in action. A row of https://stetsonpainting.com/whychooseus/ order now Trees rings the horizon. Trees connect heaven and earth, and are highly spiritual beings. These trees are bare and dormant, but the ghostly flower pattern showing in the snow indicates that under the frigid ice life stirs, ready to spring forth in abundance with the first warm breaths of buy now Spring. This pending event is hinted at by the wintery click here Sun in the painting. It struggles to break through the clouds with a cold, watery light, but as the days grow longer it will gain in strength and warmth, providing the energy to nourish all life on buy now Earth through another yearly cycle.